Flickr is one popular social media website that offers visitors the opportunity to share images with anyone across the world. It comes with compelling features that have the potential to compete with other social networking sites such as Facebook and Twitter. YouTube, Flickr and other such social networking sites have become essential tools for Social Media Optimization (SMO) as they deal in the marketing of a specific product, business or even by non-government organizations for social needs and many other humanitarian grounds. Flickr now allows you to upload 90 seconds videos to your very own account. This feature forms another reason why its popularity has gained even more prominence. Flickr can be used in various ways to gain benefits. One of the first things that you should do is to create your very own profile. The profile should reflect the name of your business along with its nature. The images that you place as a part of your profile must be named appropriately so that related users are able to find and access the image. The image should be viewable to all rather than just friends and family so that it gains more publicity and popularity. We at Search Eccentric would help you do all this and also create for you a short description that would best go with the image so that visitors get an idea about your business, product or service. We can also place a link to your website in the description where the users can find more information about the picture. 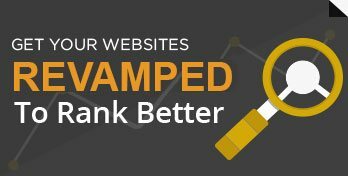 By linking an image to your website you can improve the page rank apart. You can use product images for efficient online shopping. Nowadays, more and more internet users prefer to shop at their comfort while sitting in their living rooms. Hence, by uploading product images you can put your products on sale for online shoppers. You can also tag your photos on Flickr. Tags allow you to describe what the picture is all about and users on Flickr search through these tags to find interesting pictures related to those tags. Flickr is an amazing community and offers many different types of groups. We can help you form a group on flickr and even invite people to join your group thus enabling you an add-on benefit to your product or business marketing. Flickr is one of the best social networking sites for photo storage, sharing and organization thus making image management an easy process. With help of Flickr, you can achieve a lot of things like receive comments, notes, and tags on your photos. You can also post to any blog, share and chat live. Without doubt, Flickr is the best online image management and photo sharing application that you can use to grow the popularity of your online business.